Due to the poor design of the Nova idler arm, the bushings don't last long, causing alignment problems. 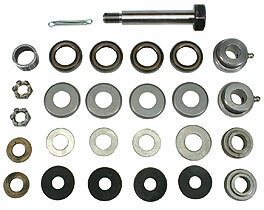 Our bearing conversion kit cures the problem. Instead of the idler arm pivoting on the rubber bushing it, will use a smooth rolling bearings.